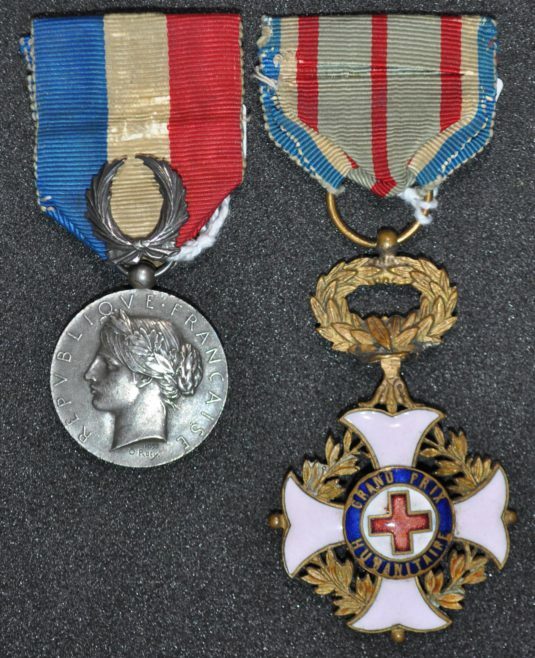 In the collections of the Museum of the Order of St John is a group of medals awarded to W.J. Church Brasier. 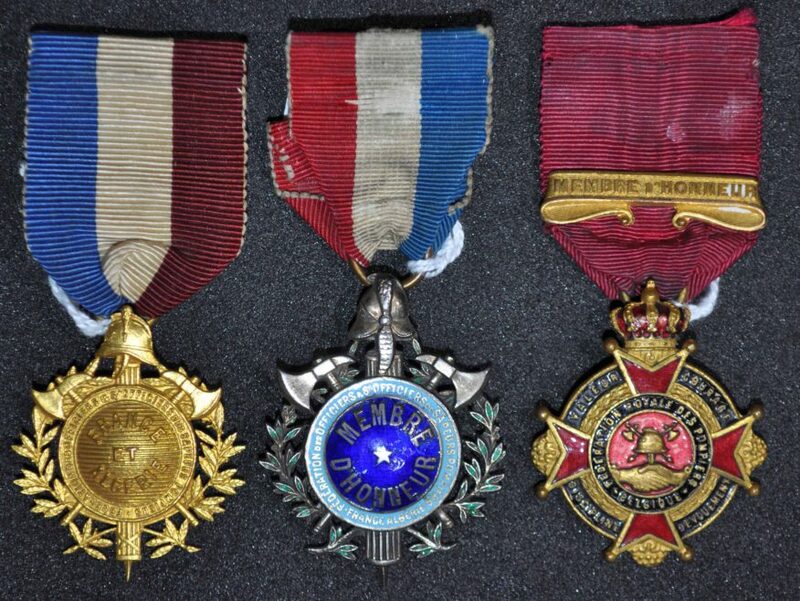 His vast array of 14 medals and insignia as well as 11 miniatures – totaling 25 medals and insignia overall – provide a physical representation of his extensive list of achievements, giving a glimpse into the amazing work that he did, and why he was so loved by all his peers. 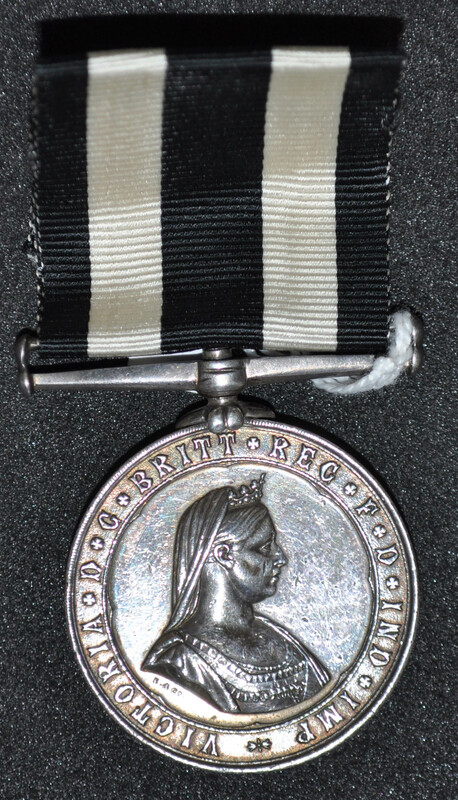 These medals are a great starting point from which to discover more about his life and work, including his long service and involvement with both St John and the Fire Brigade. Through the medals and further research I able to discover his story and reveal new mysteries. William John Church Brasier (1856-1911) was originally a book seller in the town of Margate, Kent. He became one of the founding members of St John Ambulance alongside Sir John Furley. He played a very key and important role, creating the first ever ambulance corps that all later divisions of St John Ambulance Brigade were modelled after. This could have been a very different story, as he was a proficient amateur actor and considered going on stage professionally, but thankfully he continued his work with St John Ambulance. He was an incredibly hard working and valued member of the St John, loved by all and was affectionately referred to as ‘The Chief’ when he became Chief Superintendent. In 1879, Church Brasier created the first ambulance corps for his local town of Margate, the first of its kind. Furley noticed the success of this ambulance corps. Inspired, he approached Church Brasier and invited him to join St John to develop this further. 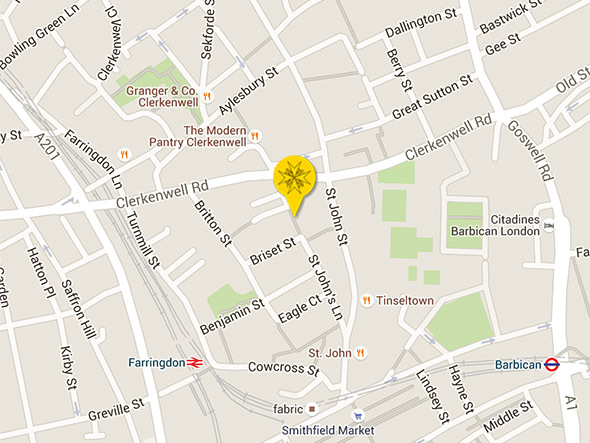 So, in 1883 Church Brasier left Margate for the headquarters of St John Ambulance at St John’s Gate, Clerkenwell. Furely and Church Brasier created the Invalid Transport Corps that same year and Church Brasier was made the Corps’ first Superintendent. 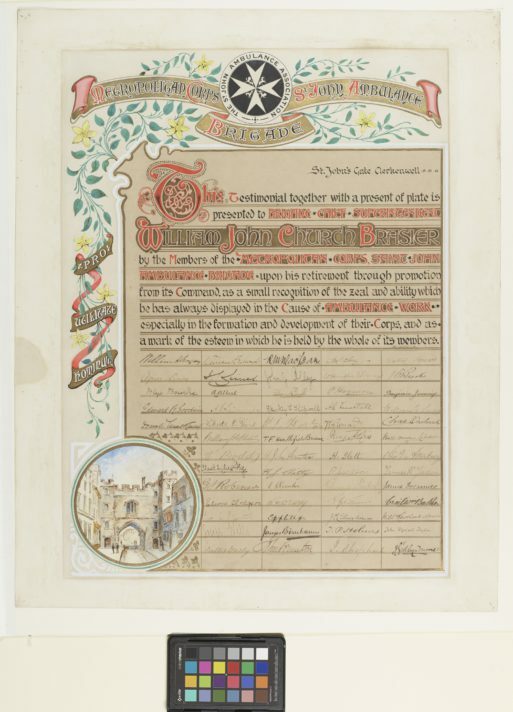 The St John Ambulance Brigade was officially established in 1887 based on the original Margate Corps, with the 1st St John’s Gate Division, of which Church Brasier was Superintendent. But this quickly became insufficient for the high demand, and in 1889 the various divisions were incorporated in to the Metropolitan Corps, of which Church Brasier was made Chief Superintendent, a position he proudly held for many years. In addition, Church Brasier was also made the Brigade Chief Superintendent in 1895. 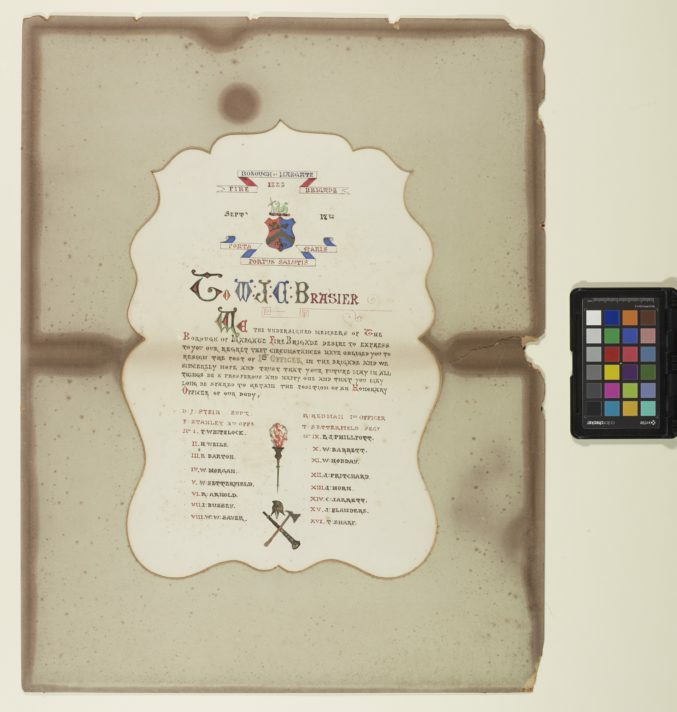 Church Brasier was also given the honour of being the first Honorary Serving Brother of the Order of St John in 1893 and in 1895 he was part of the first group, which included most of the original founding members, who were awarded the first Service Medals of the Order of St John. By the end of his service with the National Fire Brigade he achieved the Bronze Long Service Medal (10 years) as well as two additional 5-year bars, totaling at least 20 years with the Fire Brigade. During the South African War, Church Brasier worked tirelessly playing a large part in the organisation of the dispatch of divisions and supplies. Based at the Headquarters at St John’s Gate, it was said that he hardly left the Gate, working through the night. As well as organising the dispatch of divisions, he also looked after them all before they were deployed to South Africa, as all divisions had to travel down to the headquarters in London before departure. It was said that he greeted them all as they arrived and made sure that they were all comfortable, referring to them as his ‘South Africa boys’. 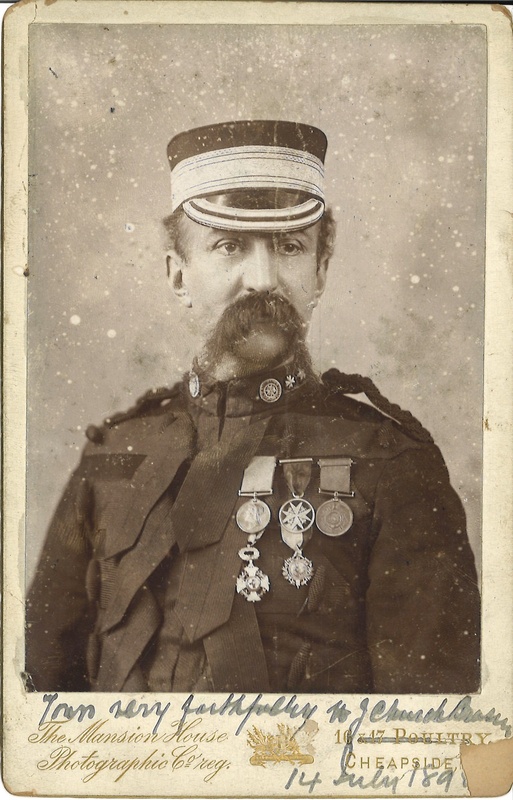 On 14th July 1902 he was awarded the St John South African War Medal by H.R.H. the Prince of Wales, as part of a special group who were recognised for their involvement with active service dispatch and the dispatch of medical supplies. 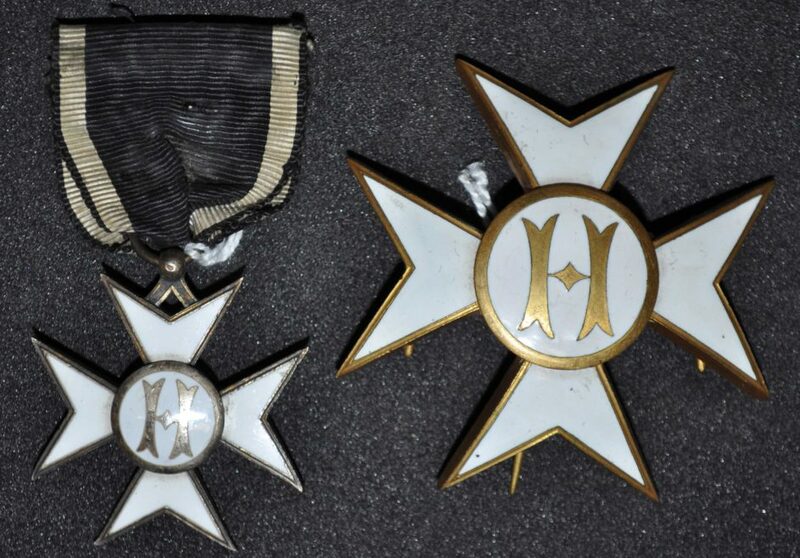 Church Brasier’s hard work, efforts and achievements were not just recognised by British organisations, but also by other foreign powers and organisations. In relation to his Fire Brigade service he was also made honorary members of both the Belgian and French divisions of the Federation of Sapeurs Pompiers (Firefighters). 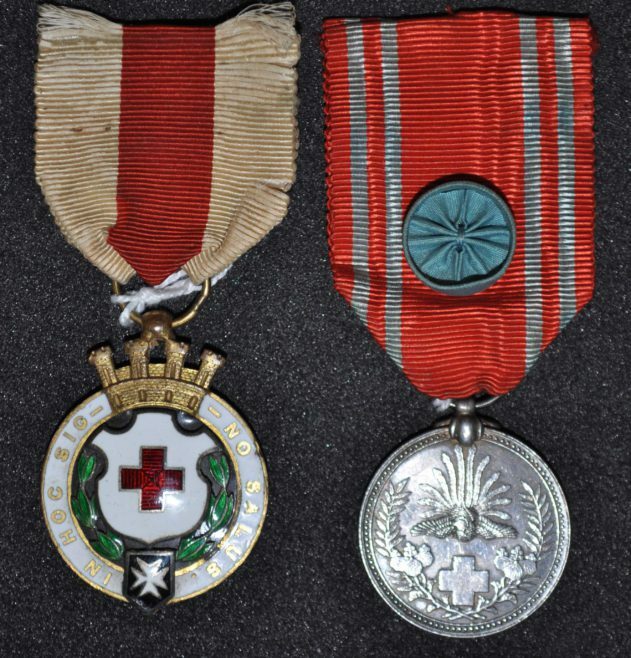 Whilst in relation to his St John Ambulance service, he was made an honorary member of the Spanish Knights Hospitaller and was awarded medals from both the Spanish and Japanese Red Cross Societies. Moreover, he also received awards for his general devotion to his work, he was awarded the Medal of devotion by the Interior Ministry of the French Republic as well as the Grand Prix Humanitaire which honours extraordinary, selfless dedication to helping others. In 1905 Church Brasier was forced to retire due to ill health. He had been suffering for years before it became too much and could no longer work. It was thought to be caused, in some part, from strain and stress from the South African War as well as losing his only son, Vincent, in 1901 when he was only 13 years old. His ill health and retirement was announced in the April edition of First Aid magazine, this caused a flood of letters of sympathy, well-wishes but also fond memories of their ‘Chief’. First Aid magazine managed to publish approximately 15 of these letters going through until the November edition of the magazine. These letters recognised how much hard work and effort he had put into both St John and the Fire Brigade. They organised, made and presented Church Brasier with a splendid testimonial to honour and recognise his efforts and achievements. William John Church Brasier later passed away on 4th February 1911. Many condolences were passed on to his wife, Maud, and daughter, Winifred. His funeral was very well attended by friends and family, and many who admired him and his work. His obituaries were very considerable in length about his kind demeanor and the sheer amount of determination and hard work in relation to all areas of his work and service.